If you enjoyed Chinatown Wars for the iPhone and own an iPad you will be pleased to know that Grand Theft Auto: Chinatown Wars HD has just been added to the iTunes App Store and is available to purchase. Grand Theft Auto: Chinatown Wars HD makes full use of the iPads stunning 1024 X 768 high definition graphics. With new control layouts together with higher polygon-count models and all new lighting and effects. 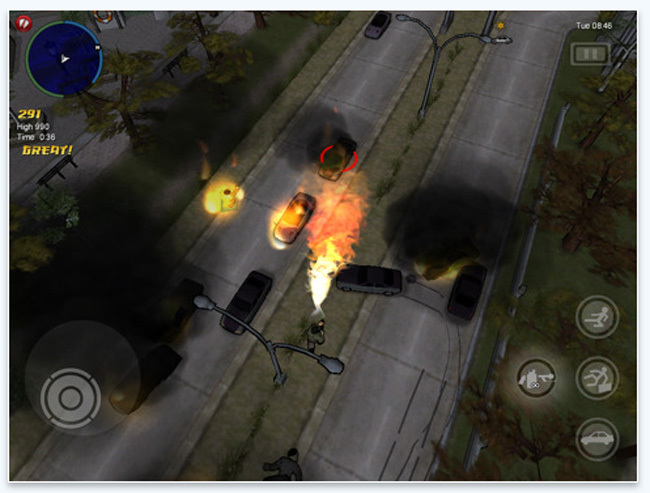 The new iPad Grand Theft Auto: Chinatown Wars HD is available to purchase for $9.99 iTunes. So don’t delay start download it now and start tearing up the streets.